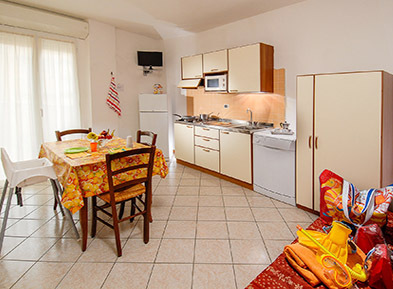 At the heart of Cattolica, next to the pedestrian zone and only a few steps from the sea. We guarantee every comfort in our special offer, as well as many games and attractions for children. Fun and relax for everyone on our panoramic terrace. At Residence Neri we’ve thought of everything to make your stay as pleasant as possible, in total autonomy and without time restrictions. A vast offer with many facilities and maximum fun for kids; spend quality time with your family in the luxury of a 3 star Residence-Hotel. 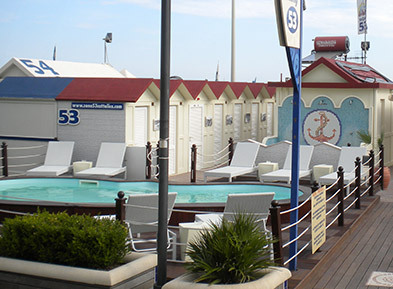 Privileged position at the very centre of Cattolica, a vivid and touristic city by the sea thought for families with children, in the land of hospitality par excellence. Residence-Hotel Neri is a family-friendly structure – new, well-kept and functional apartments in order to feel at home, with the best facilities and many opportunities for wellness, relax and fun with your little ones. Residence-Hotel Neri is a space for kids – we ensure joyful moments for our smallest guests with plentiful games and recreational activities. Free equipment is available upon request so you can travel light! Discover our pleasant, well-kept and completely furnished Two- and Three-Room Flats. We’re the only structure with an exclusive Water Games Room. Our vacation includes Beach Service Package all Summer long.